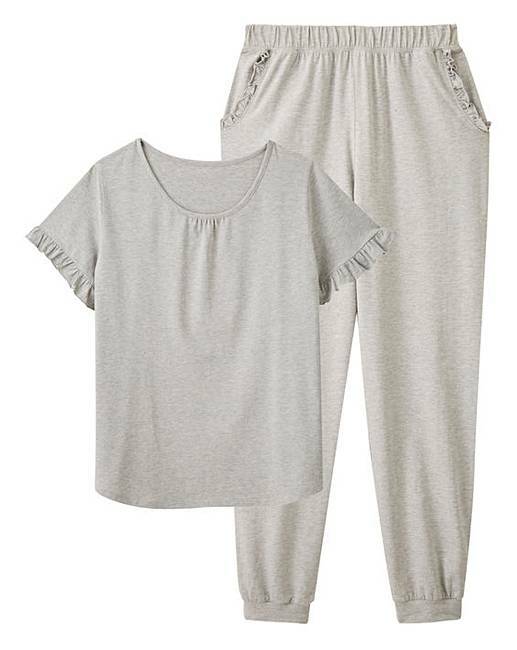 New and exclusive for SS19 is the Together Loungewear range. Looking for something comfortable and cosy? 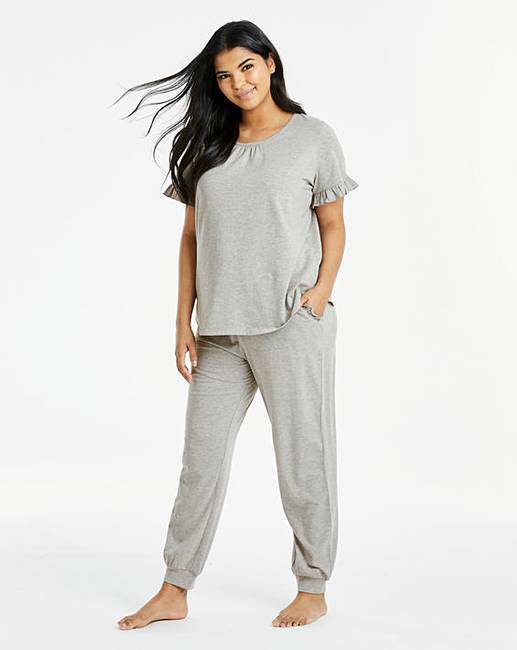 You can't go wrong with this gorgeous light grey marl lounge set, with frill detail to the sleeve and trouser pockets and cuffed bottoms. In a supersoft jersey fabric. Why not pair with the matching dressing gown from the range. 57% Viscose, 29% Cotton, 9% Polyester, 5% Elastane.